A special needs mom’s Christmas wish list is far from typical. And it mostly contains items Santa can’t manufacture at the North Pole nor fit under a tree. But I was reminded this past Sunday at church that my wish list has nevertheless been fulfilled. He is all you need. Sounds simple, almost silly, but I promise it is true. Let HIM be your counselor this year, lean on HIS might, know HIS fatherly adoration of you and your child, and rest in HIS peace that passes all understanding. If I could reach out to every special mom I know, or who reads this blog, this is the gift I would want you to have. Merry Christmas dear friend! 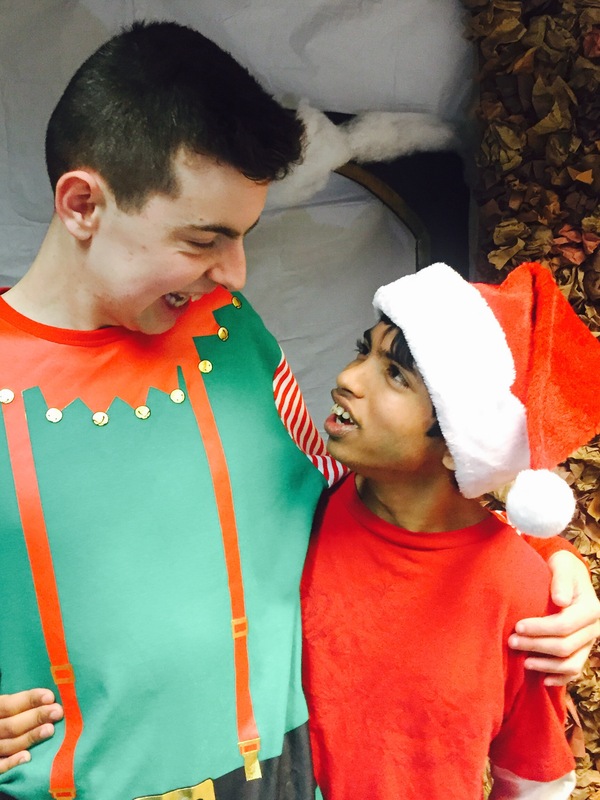 Nick and his school friend Shankar, celebrating Christmas with LOTS of Joy!! Psalms 42:7 Deep calls unto deep at the noise of Your waterfalls; All Your waves and billows have gone over me. I’m a little old school, so I’ve been hesitant to go all-in with Facebook and other social media “relationships”. I define friends as people who I’ve met in person, and over time developed lots in common with via shared experiences. But it’s 2016. I am currently collaborating on a book with a woman I’ve never met! It’s a new and curious experience to encounter people online whose passions, experiences and mission align so strongly with my own. I’m not sure of where she lives, no clue of her favorite food or TV show. But nonetheless, I now count her, and several other FB strangers, among my friends. If I admit something to you that you may find shocking, or at least slightly inappropriate, do you promise to still be my friend? Here it is: I love “The Walking Dead” tv show! My guys got me into it during the first season and I’m hooked. OK, you promised, so now you have to keep reading. This blog isn’t about zombies or guilty pleasures. But the title, “Here’s Not Here” is a quote by one of the main characters this season. It’s how he deals with the reality around him of a post-apocalyptic world. Here I sit, in the Easter Seals lobby. Extra large Miami Dolphins coffee mug in hand, laptop in front of me, headphones on with Israel & Newbreed’s latest song “My Strength” blasting in my head phones. I will admit to you that I am openly dancing in my seat! Honestly, these people are lucky I have enough self-control to not be clapping or, worse, singing along. So much joy right now. Two years ago I hit “publish” on my first blog post. As soon as I did, something occurred which could never be un-done. I stepped into a new landscape which I had contemplated for several years. I had delayed that moment for so long, because I had not found the perfect timing for it….and I still haven’t. Each and every post I write has the same foundation: Redefining the word Special. Seeing that “Special” really is special has changed my life, and has helped me see many other things with a completely new perspective as well. 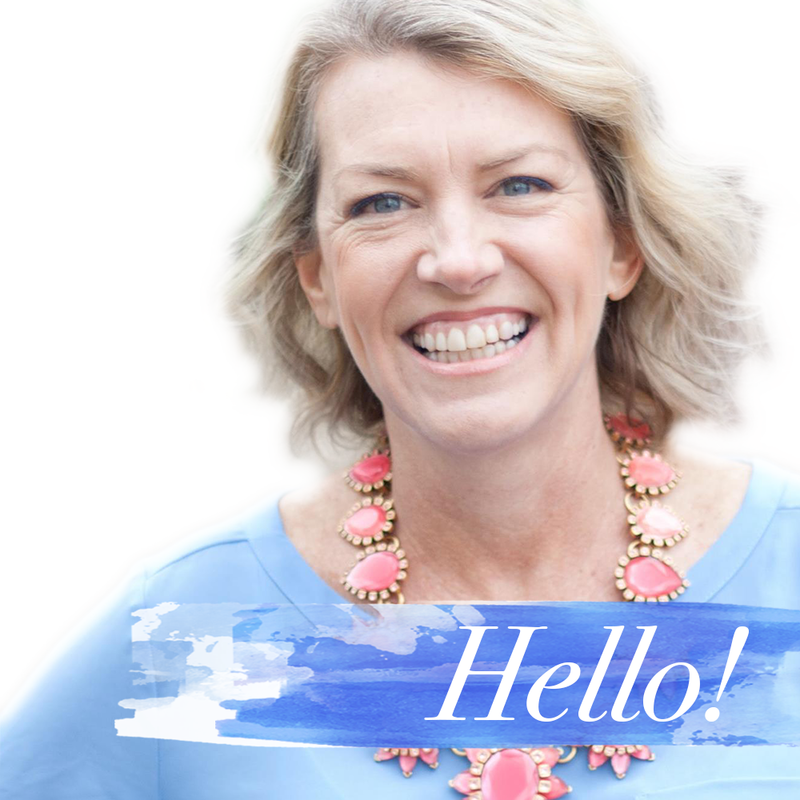 Today I’m talking about redefining, or at least expanding our definition of COURAGE. As you may know by now, I frequently contribute blog posts to a site called TheMighty.com. It’s a cool site designed to form a community of individuals with special needs or disabilities where acceptance and understanding take place, and stigma is erased. They send out a monthly request for stories, with specific topics or assignments. Recently the topic was “Marriage and Special Needs”. I immediately began formulating my response to this request – I am, after all, married. Sounded like a slam-dunk project. As I wrote, I kept adding more and more disclaimers, apologies, and caveats to the piece. Among my personal friends who are special moms, several are divorced. I have witnessed their struggle, their hard work, their perseverence, and their anguish over every challenging decision. They were so forefront in my mind as I wrote, I was almost ready to cancel the whole thing. I would never ever want those lovely ladies to think that I was somehow judging their provision for their child as less-than.